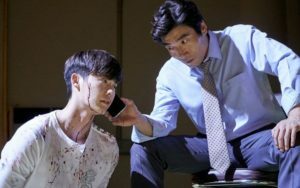 It was quite impressive that despite his debut starting in television, Park Won-sang still took offers to act in theater productions in order to sharpen his acting skills. After appearing in several theater productions, the actor was offered roles in lots of movies. 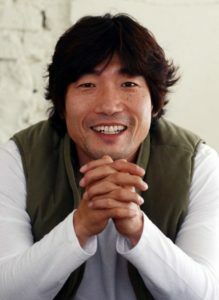 Even though he was only cast in supporting roles in most of his projects, the figure of Park Won-sang slowly but surely became known to the public. Some of his major projects where he played a lead role are Waikiki Brothers, Chosun Police, Miracle in Cell No. 7, and W – Two Worlds. 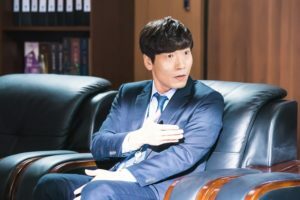 In this article, Channel-Korea will tell you all about Park Won-sang, including his full profile, the list of his television dramas, movies, and theater shows, and his wife and family. So, keep reading! As has been noted in his personal profile earlier, Park Won-sang was born in 1970. 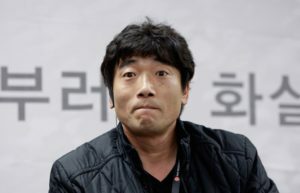 According to the Korean Age System, in 2018 Park Won-sang is 49 years old, making him 48 according to the International Age System. Besides Park Won-sang, there are other well-known Korean actors and actresses who were born in 1970 as well, such as Yoo Hae-jin, Kim Hye-soo, Kam Woo-sung, Kim Mi-hye, Lee Beom-soo, Kim Boo-yeong, Ko Chang-seok, Lee Mi-eun, and Ryu Seung-yong. Park Won-sang is considered a tall and fit man, as his height is 176 cm, whereas his weight is 73 kg. 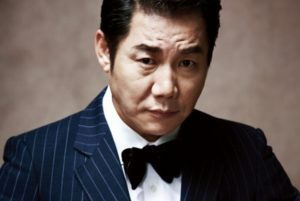 As has been explained previously, Park Won-sang is an actor who can play a wide variety of roles from the serious to the comedic, or even the psychopathic ones. He’s starred many hit dramas that have been known by the younger generation of K-Dramas addicts, such as Dream High, Miracle in Cell No. 7, W – Two Worlds, and Weightlifting Fairy Kim Bok-joo, hence his face often looks familiar, though his name is often unknown. In this section, Channel-Korea has compiled the list of television series, films, and theater shows that Park Won-sang has starred in. 2010 – Theater show Macbeth, Objection! Unfortunately, there is no detailed information regarding Park Won-sang’s wife and family, as he keeps it private from the public. Thus, we have to respect the actor’s decision to not dig further regarding his private matter, don’t you think so, dear readers? Did Park Eun-bin Undergo Plastic Surgery? Look at Her Face Transformation!